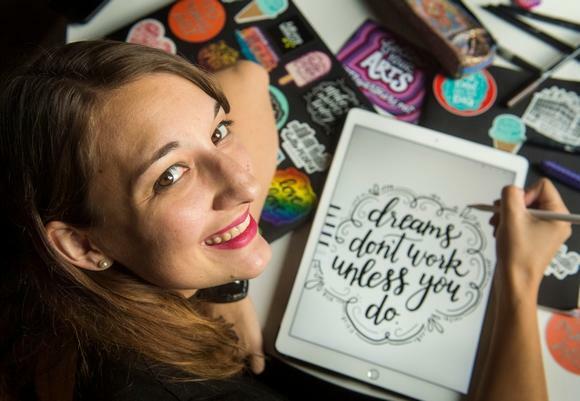 Founded in 2016, Lettering Works is the result of an artist's hopes to turn her love of hand lettering into a full-time career. Helping clients, campaigns, and causes build skillfully designed brands is our talent and our passion. Chelsie Tamms received her Bachelor of Arts in Graphic Design and Spanish with a minor in marketing from Bradley University. 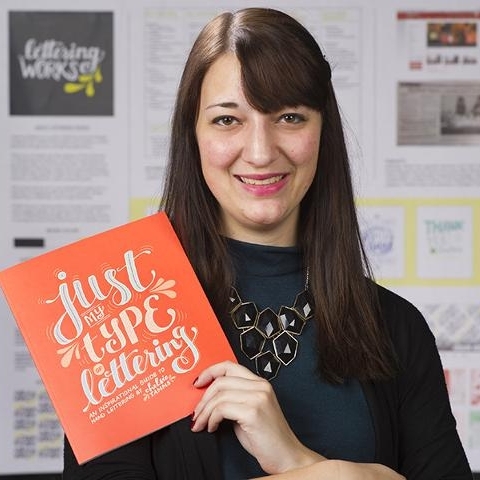 While at Bradley, Chelsie held several internships with advertising agencies, as well as self-published an inspirational guide to hand lettering titled “Just my Type of Lettering." The book received local and national recognition from the American Advertising Awards. Chelsie served as an advisor for Brave Launch, speaks regularly at entrepreneurship events, and teaches lettering workshops. She enjoys taking advantage of the many unique entrepreneurial and artistic opportunities Peoria has to offer, including an artist residency at Prairie Center for the Arts where she created many Peoria products and her second book, “100 Days of Peoria.” Her work can be found throughout the Peoria community and beyond. Lettering Works also designed the cover of the issue. "Working with Chelsie Tamms for our planpeoria.com campaign was a wonderful experience. Not only was her vested interest in Peoria apparent, but she brought in small nuances and details that made a huge impact on the branding. The look was contemporary, while managing to keep the identity of the campaign front and center." "My experience working with Chelsie has been phenomenal. As a true artist and professional, Chelsie adapts to her clients needs and you can really see that in her design work. Whatever concept or idea you bring to Chelsie, she works closely with you to develop your vision and delivers beautiful designs in a very quick turn around. Her enthusiasm and passion is evident with her clients and I can tell you from first hand experience that Chelsie is a true professional and I would recommend her to anyone." 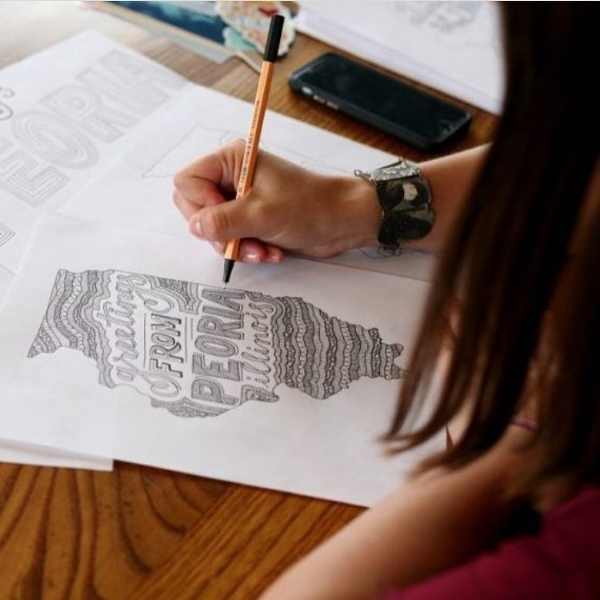 Interested in how Lettering Works can help your business or project? If you’d like to learn more about our services, workshops, wholesale opportunities, or have a different idea you'd like to pitch, we’re ready to talk! Please select the response that best describes your interest in contacting us!